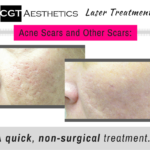 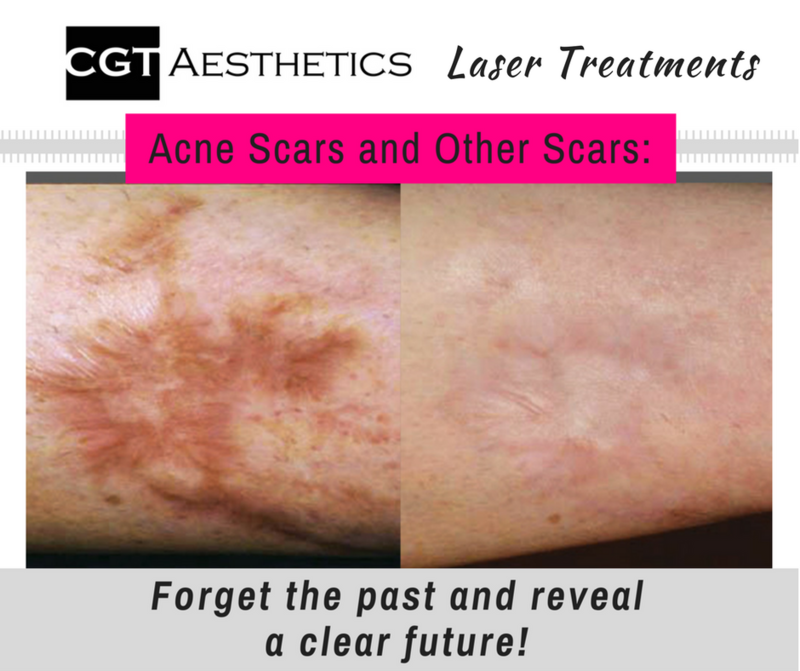 With laser treatment for scar removal at CGT Aesthetics, unwanted scars can be a thing of the past. 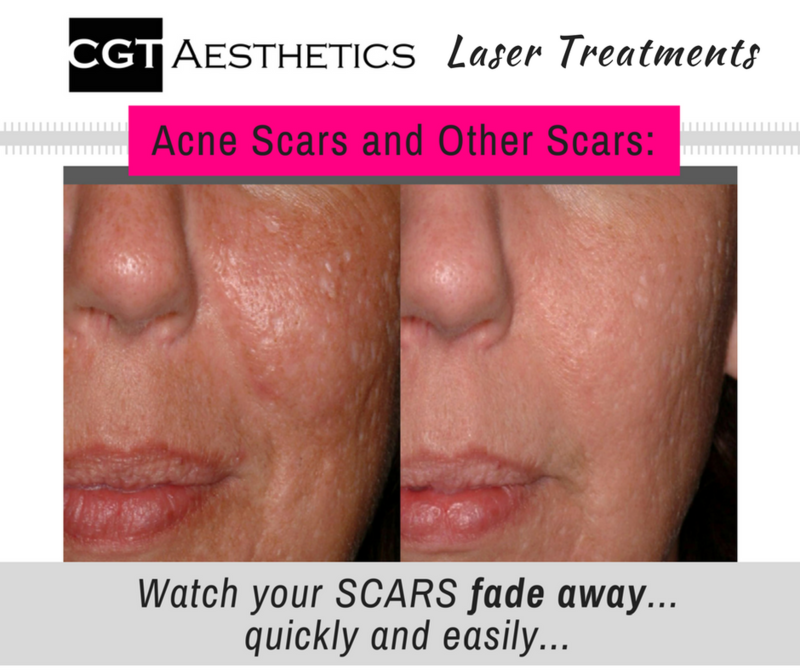 You’ll watch your scars fade away and have a renewed confidence in your skin! Laser scar treatment is a great option to reduce the appearance of unwanted acne scars or surgical scars on any area of the body. 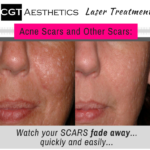 This treatment is fast, easy and provides remarkable results that you will be happy to show off. 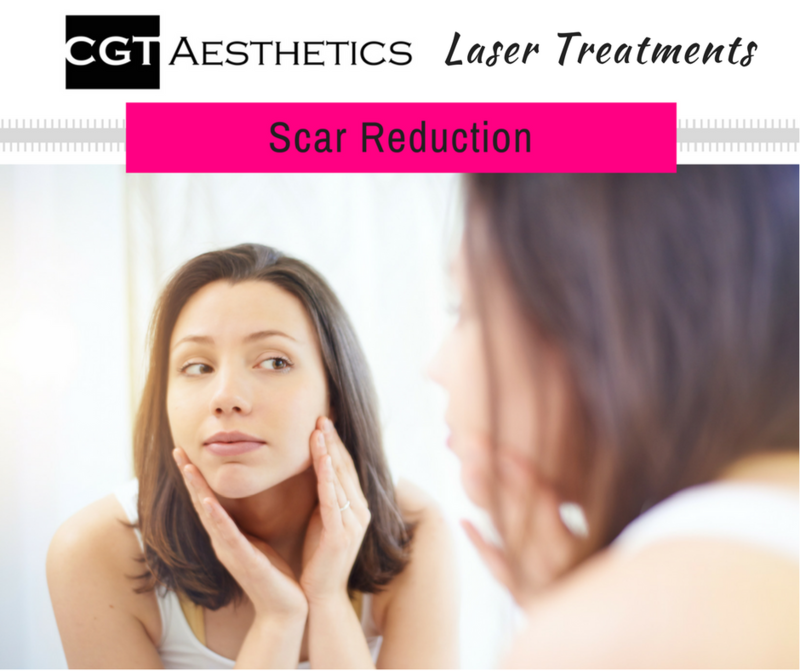 Laser scar removal is also a more comfortable alternative to surgery and delivers amazing results, with little to no downtime! 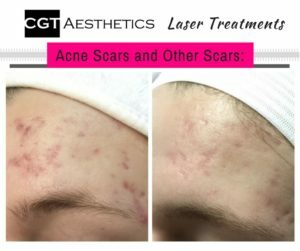 Treatment plans can be adjusted to fit everyone’s lifestyle – our Aesthetician Jessica will speak with you regarding desired downtime, comfort, and results. This fractional technology delivers pulses of laser light gently into the skin to break down the scar tissue. 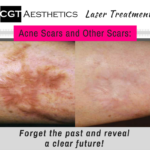 This targeted action will then help generate healthy new tissue to form in its place that is smoother and more even in skin tone. 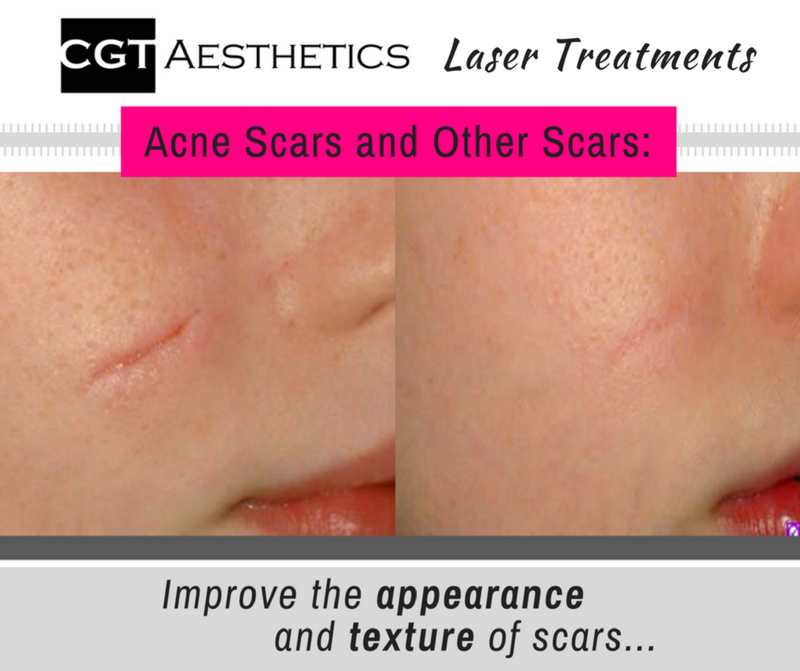 Most people require 4 to 8 treatment sessions for desired results depending on the scar. 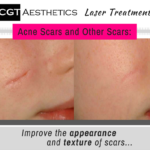 Our Aesthetician Jessica can give you an estimate based on your condition. 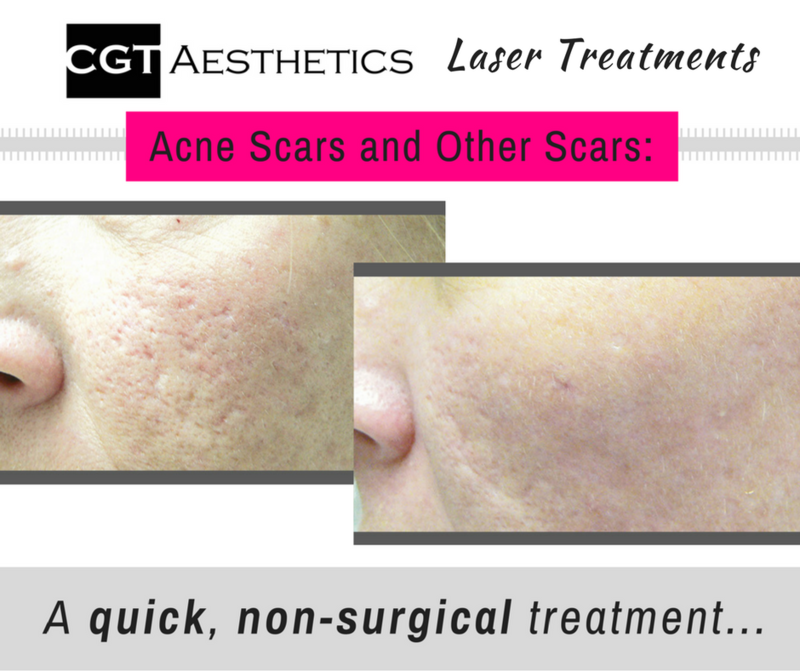 You may experience temporary redness and swelling at the treatment site which should last only a few days.